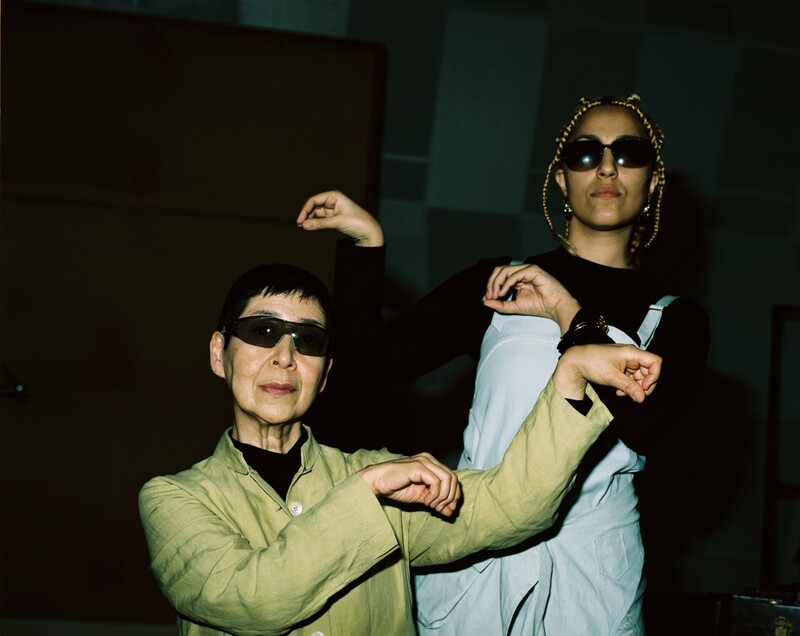 From the very beginning of ‘Le Renard Bleu’—the Kenzo-backed visual accompaniment to a groundbreaking collaboration between acclaimed Japanese composer Midori Takada and London-based experimental music artist Lafawndah—, Noh’s influence is apparent. With an ornately costumed Lafawndah as its central storyteller, the 20-minute film, directed by fashion favourite Partel Oliva, utilises ancient myth to explore the potential that the past may have in decoding questions of the present. Like Noh, the performance’s pacing emphasises nuance rather than action; in the shots, Lafawndah seems to be undergoing an emotional process and, by the end, no concrete conclusion is reached. So it makes sense that, when Lafawndah is approached for a collaboration, the project in question has to be pretty special, matching the intensity and innovation that she injects into her own music. 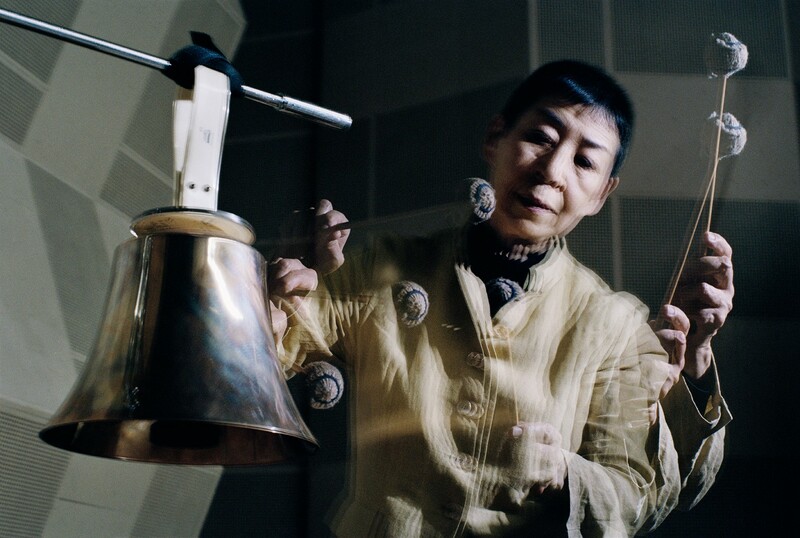 When Midori Takada—a composer and percussionist who creates minimal, hypnotic music with an air of mystery— propositioned that the two work together on a piece exploring knowledge across different generations and geographies, it proved to be the perfect match. Judging from the end result, it seems like there is much we can learn from the pair, too. Le Renard Blue is out digitally now—pre-order an exclusive vinyl, to be released on August 24th, HERE. Lafawndah’s EP Honey Colony II will be out at the end of August.